Each collision in the Large Hadron Collider will produce thousands of particles, many of which we cannot observe since they decay long before they reach the detector. However we can infer the existence of invisible particles and their properties by looking at the recorded decay products which are visible, and their distribution in the detector over many thousands of collisions. The main way to understand and interpret these observations is to simulate on a computer what we expect to see for different theoretical models, and then compare the simulated result with real data. This mens that the mathematical model must be translated into a numerical one and implemented into a software. Some of the techniques used to perform the simulations are referred to as Monte Carlo methods. These computational alghoritms rely on repeated random sampling to obtain numerical results. Numerical simulations provide a reliable bridge between our best theories and our most powerful experiments. The IPPP in Durham is world leading in developing computer programs, such as Sherpa and Herwig, which are used to simulate the high-energy collisions occurring at the LHC. 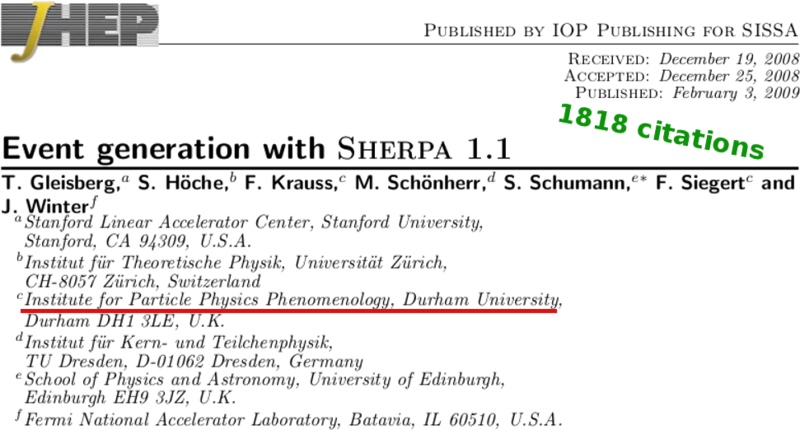 Herwig and Sherpa have been instrumental in the discovery of the Higgs Boson at the LHC in 2012. 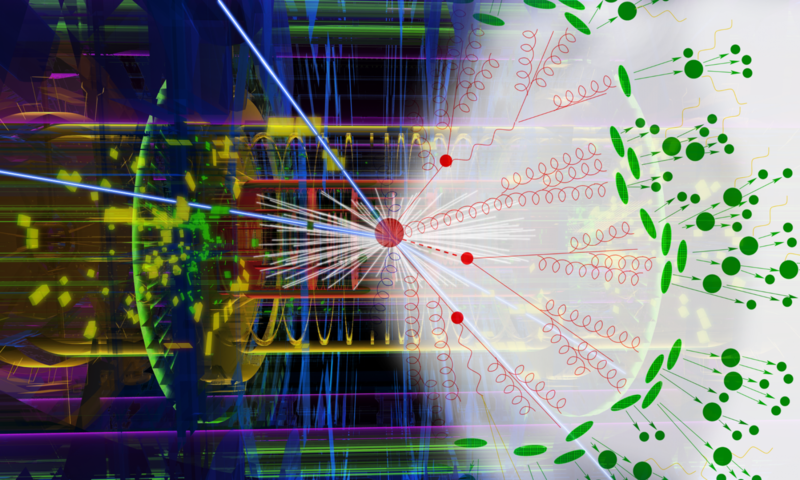 These softwares use Monte Carlo methods and numerical algorithms to predict the enormous amount of events generated in the LHC. The plot below shows the comparison between experimental data collected at the LHC (black dots) and the results of simulations (coloured areas). 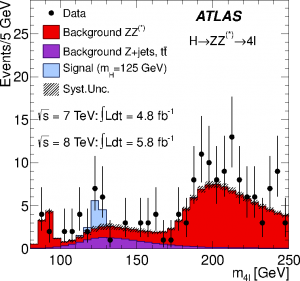 To match the experimental data, a signal contribution (pale-blue area) needed to be added to the background: this provided the evidence of the existence of a particle of mass 125 GeV, identified with the Higgs Boson. If you want an idea on how simulations work, have a look at our Galton board! beneath the France–Switzerland border near Geneva, Switzerland. Particles are invisible if they cannot be detected inside the detector. they are too light and faint for the detector's resolution. the detector, thus leaving a trace and loosing energy in it. This signature is then converted into an electrical signal and analysed by a computer. to reproduce the probabilistic behaviour of nature. The name "Monte Carlo" is a reference to the Monte Carlo Casino in Monaco. of all the processes that can happen between elementary particles. numerical approximation must be accounted for. the mass of the Higgs boson is measured to be 125.09±0.21 GeV.